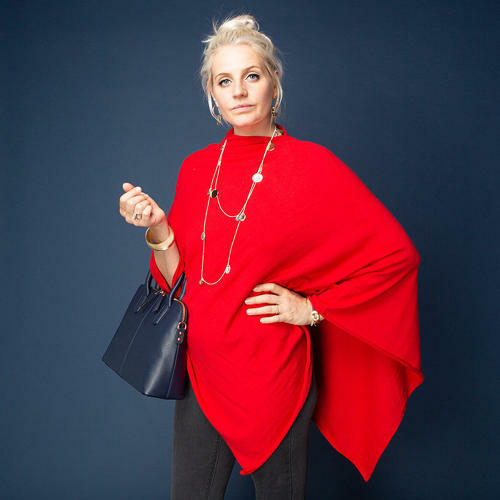 Our bestselling poncho style in a vibrant red. Made from easy to care for acrylic but as soft as cashmere and machine washable! One size fits most.